Hazel entered my life February 17, 2007. According to her x-rays, MW BREW believed she had a pretty horrible life before they got involved. I just remember them telling me numerous times that Hazel would probably never be a normal dog. But I was determined to take on that challenge. 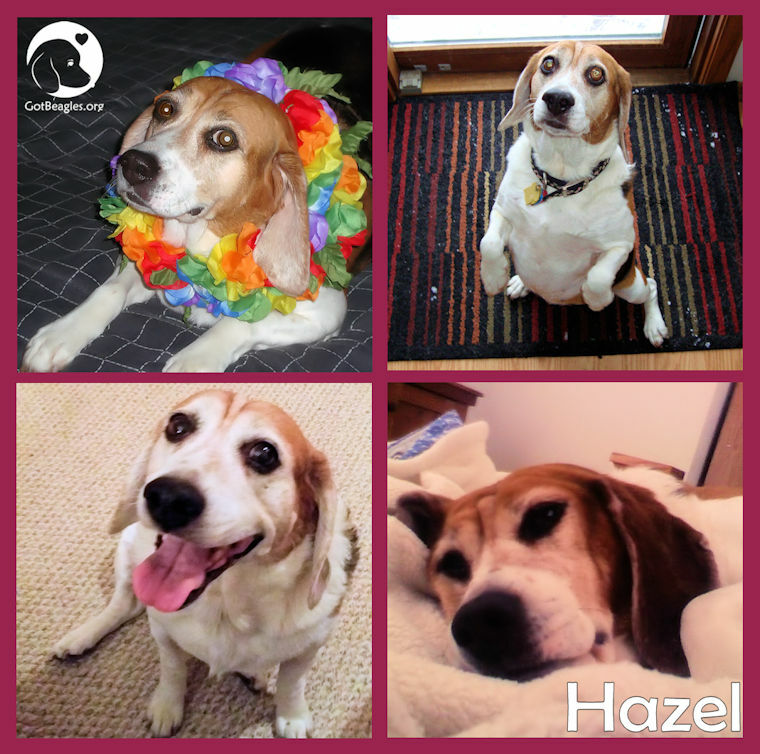 Hazel not only became a normal dog, she became a very happy and loving companion and a little spoiled too! With a lot of love and patience, she learned to love and trust again. Her wonderful and kind personality just blossomed as every day passed by. She enjoyed her second life and lived it to its fullest (you can tell that by her pictures). Unfortunately after 8 1/2 years a very quick spreading cancer formed and I knew my time with her would end soon. Just as Hazel trusted me at the beginning of our journey together, I made sure she trusted me and felt loved during our final months together. RIP Hazel January 23, 2016. Always know that you changed my life as much if not more than I changed yours. Mommy loves you forever!